If you love house quilts, this class is for you. We will focus on a variety of techniques to build our own personalized neighborhood. Come meet new quilter friends and have fun building your VILLAGE! Bring some 5 inch charm squares to share with your fellow quilters. The more squares you bring to swap the larger the variety of fabrics in your quilt. 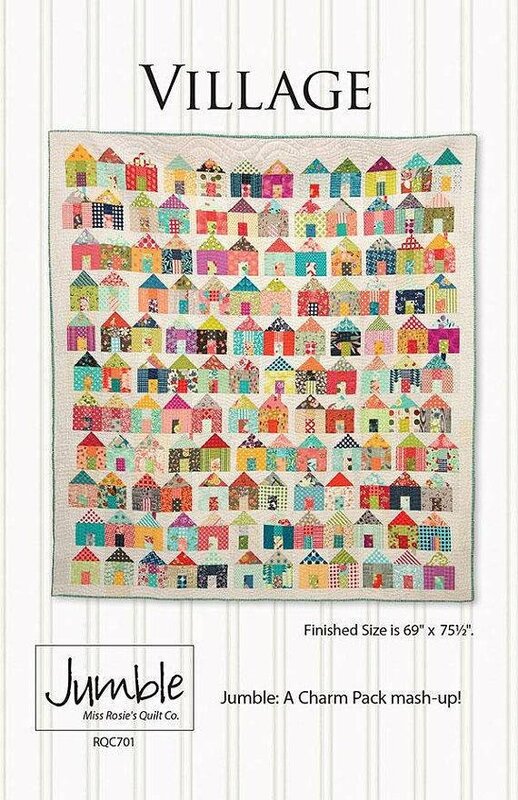 Requirements: Village Jumble Quilt Pattern required.